Narwhal and Polar Bear Safari – The Great Canadian Travel Co. 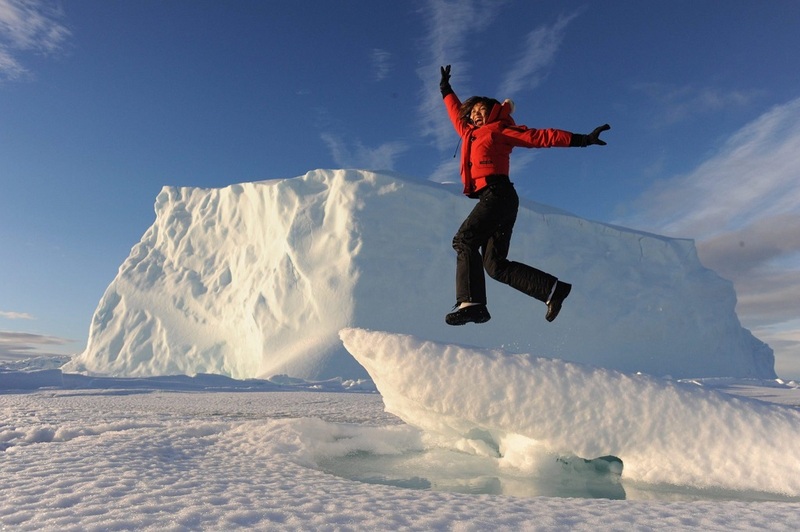 Experience the classic spring floe edge and view polar bears, narwhal and icebergs under the Midnight Sun. 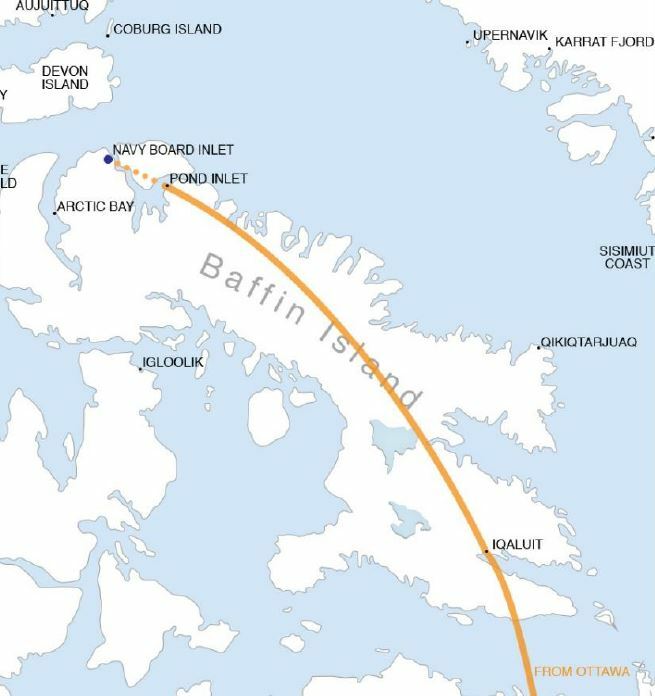 Travel to the northern reaches of Baffin Island where the sea ice meets the open water, Marine mammals and other wildlife congregate at the floe edge, known as the “line of life”. Prices are shown as starting from prices, per person, in CA$, based on two people sharing a twin room or a solo traveller willing to share with another solo traveller of the same gender and one person in a single. Triple rooms are not available on this tour. Arrive in Pond Inlet. In groups of 8, board a private plane for your short flight into our Premium Safari Camp. 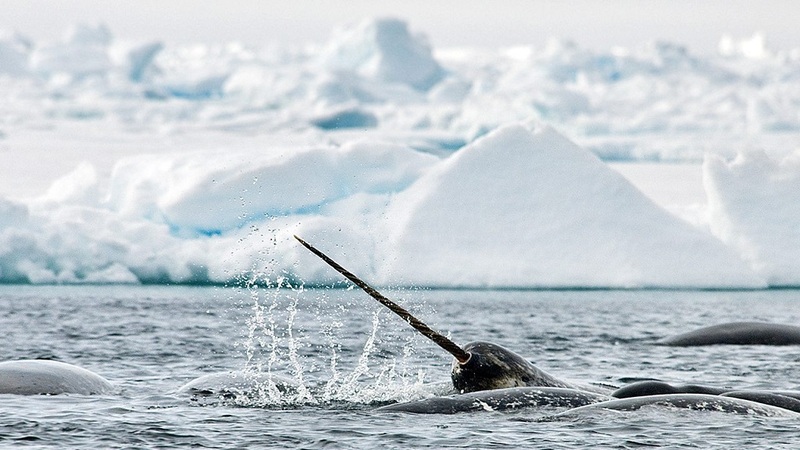 Our Narwhal and Polar Bear Safari is the perfect adventure for first-time visitors to the Arctic as well as seasoned Arctic travellers. It is suitable for adults and families, and amateur or professional naturalists and photographers. 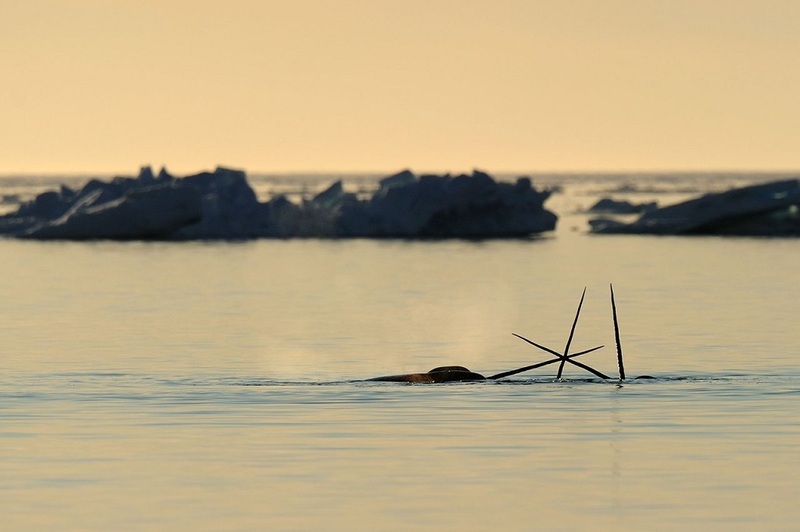 This Arctic tour offers an and a variety of bird species, as well as spectacular landscapes. The vast expanses, seemingly-endless skies, and tranquillity of the Arctic, and our small group program, allows for a serene and unhurried experience of the Arctic. Relax with the freedom to linger and watch or photograph the magnificent Arctic scenes around you or simply discover the beauty and wonder of the Arctic’s floe edge. 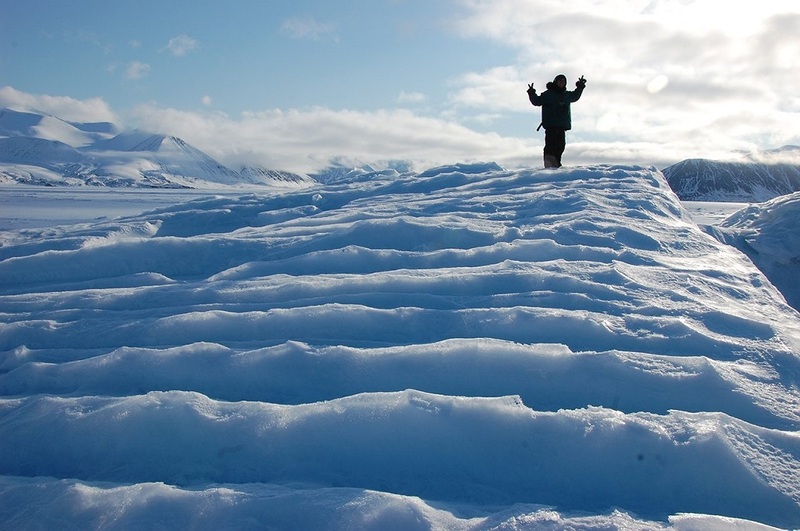 Journey to the floe edge by snowmobile and qamutik and enjoy spectacular Arctic landscapes and mild spring weather. 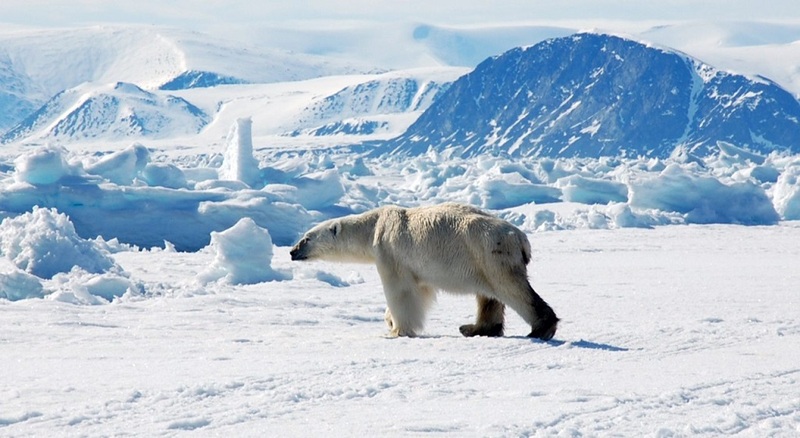 Observe wildlife in their natural habitat, including narwhal, polar bears, seals and more. 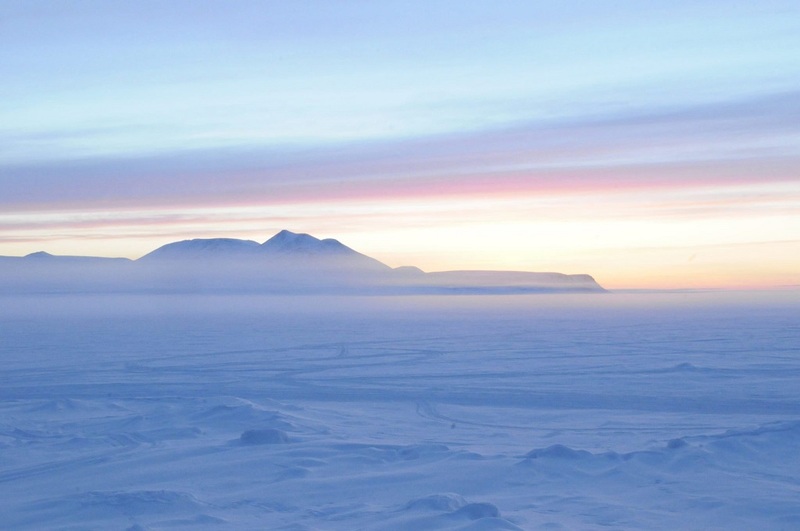 Ice conditions permitting, you may also visit the Bylot Island Migratory Bird Sanctuary, home to more than 200,000 birds. In small groups, take day trips in the area and engage in a variety of activities both on land, such as guided hikes, and at the floe edge. 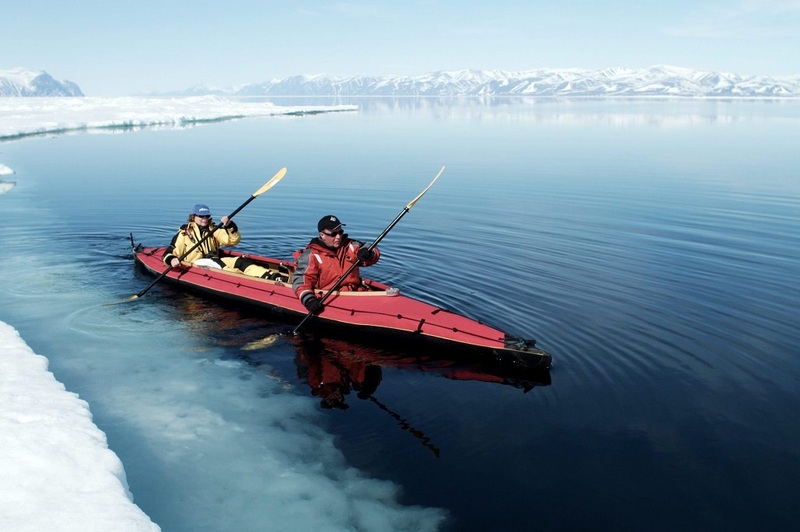 Snorkel and kayak amongst sea ice and possibly within the presence of whales. 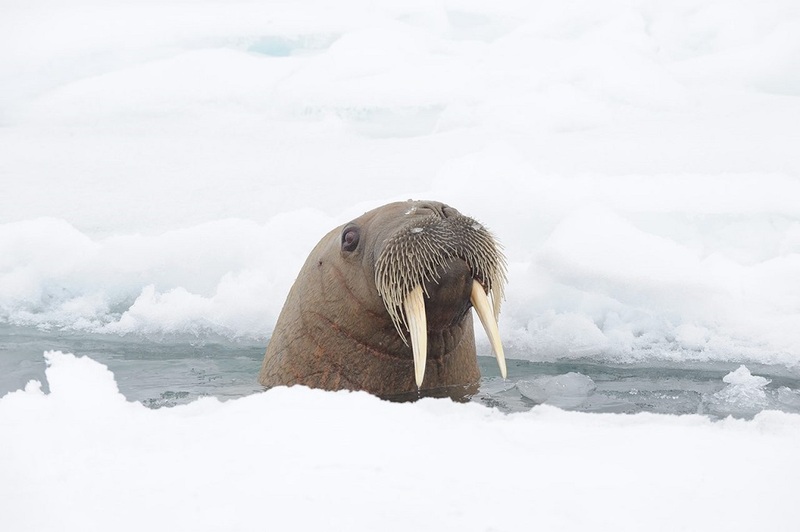 One of the greatest highlights for many guests on this safari is the opportunity to observe a variety of Arctic wildlife in their natural habitat, including narwhal, beluga, bowhead whales, seals, and polar bears. Delve into the Inuit culture on a journey to traditional Inuit hunting grounds, by qamutik and snowmobile. You may also have a chance to visit the evocative ancient Thule sites, where you will see the traditional tent rings and learn about the culture and history of the ancestors of Inuit. After another day enjoying the majesty of the High Arctic wilderness, fly directly out of camp to Pond Inlet. Explore the town at your leisure and spend your final night in a hotel. Transfer to the Pond Inlet airport for your departing flight. Airfare is not included in tour price, but can be added on. Details are subject to change without notice by the suppliers and operators involved. We update the information as soon as possible when changes are advised to us, however, we cannot assume responsibility for such changes made by the suppliers and operators.